Te Feng’s “Half-Half House,” a year-long project that represented the company’s first attempt at integrating design with practice and structure with landscape, earned top honors at the 2018 Taiwan Residential Architecture Awards. Te Feng is a family-owned business located in Zhu­shan Township, Nan­tou County. Company founder Li ­Youde, grandfather of the current general manager, started the business selling charcoal and clogs, then expanded it by renting a section of forest, cutting trees, and planting saplings. His son, Li Cheng­zong, kept the business going in the face of an industry-wide decline by developing new processes for drying lumber, and for making his products resistant to pests, rot, and fire. 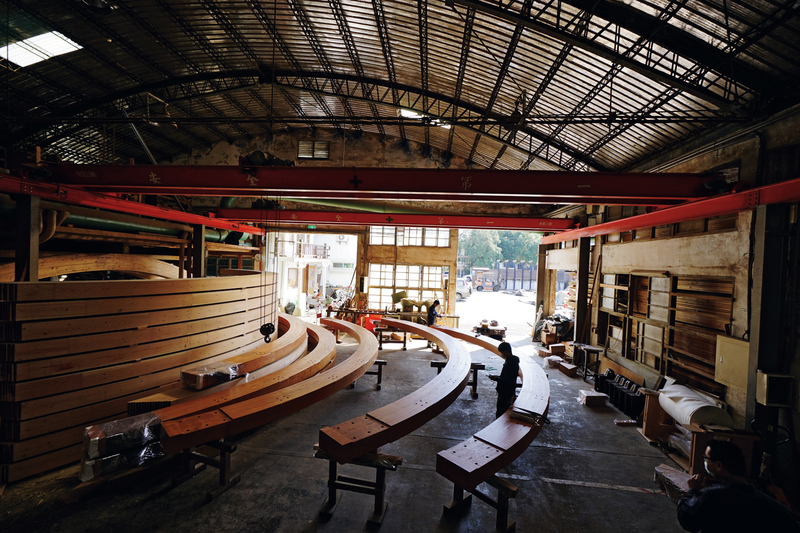 Li ­Youde’s grandsons have vowed to revive the lumber business and focus on environmental sustainability. 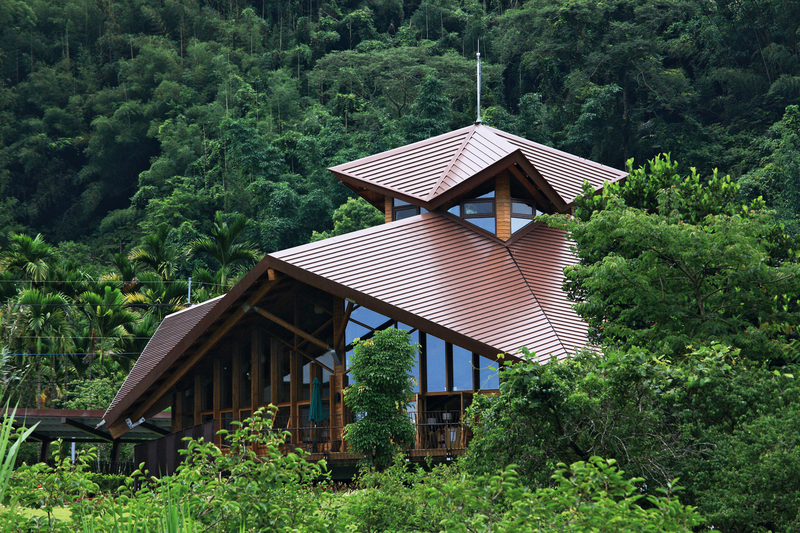 Under their leadership, the company has developed innovative methods for constructing wooden buildings. 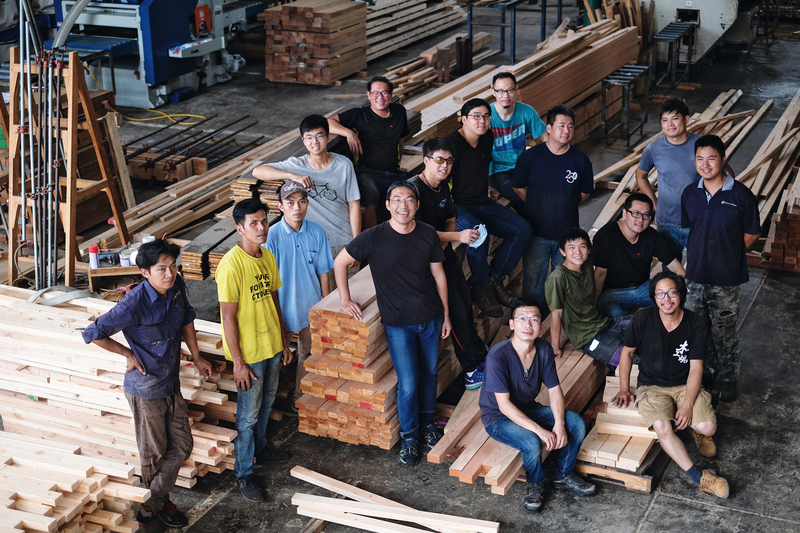 “Our way of life has been inextricably bound to wood for thousands of years,” avers Li Cheng­zong, who now chairs the Nan­tou County Yong­long Lumber Industry Association. Li Youde went into business in 1941 selling everyday products made from wood. When inflation ate into his profits, the elder Li sought to cut his costs by sourcing raw materials from wholesalers in the mountains. He then rented a plot of forest land, and transformed his retailing enterprise into a raw materials supplier. Li formally established Te Feng Lumber Company, Ltd., in 1945. In those days, Taiwan possessed abundant forestry resources and a booming timber industry. But timber businesses faced risks even in those heady times. Li Cheng­zong shares a boyhood memory of his father hustling to sell the company’s lumber in the period before the Chinese New Year. The elder Li’s hard work had seemingly paid off: he had managed to get the logs out of the mountains, and had them stacked by the river awaiting transport by ship. But then a series of major storms washed away every one of them. It was bad enough that he’d wasted so much effort, but he also had to pay for logging rights, cutting the trees, building roads to get the trees out of the forest, and transporting the logs. The scrupulously honest Li sold his land and home to settle his debts, then returned to his hometown with his wife and child to farm. “It never rains but it pours,” says Li Cheng­zong with a wry smile. “The rice plants failed to produce any grain that year. No one had seen anything like it.” It was another blow to the elder Li, who had expected to support his family by farming. Fortunately, he had a good reputation and outstanding credit, which encouraged some lumber industry peers to lend a hand: they advanced him enough money to cut some trees, which enabled him to rebuild his business. “Father always told us that honesty was a valuable intangible asset.” Li Cheng­zong has instilled the same principles in his own children. The good times didn’t last long after Li Cheng­zong took over the company. “My generation saw the lumber industry peak and then go into gradual decline.” When the steel industry began to take off around 1981, steel rebar gradually became a ubiquitous replacement for wood as a construction material. “Around that time the number of lumber companies in Zhu­shan plummeted from about 100 to only ten,” says Li. Li says that he’s very grateful to National Ping­tung University of Science and Technology and National Taiwan University for the help they provided in guiding the rapid advancement of Te Feng’s processing technology. 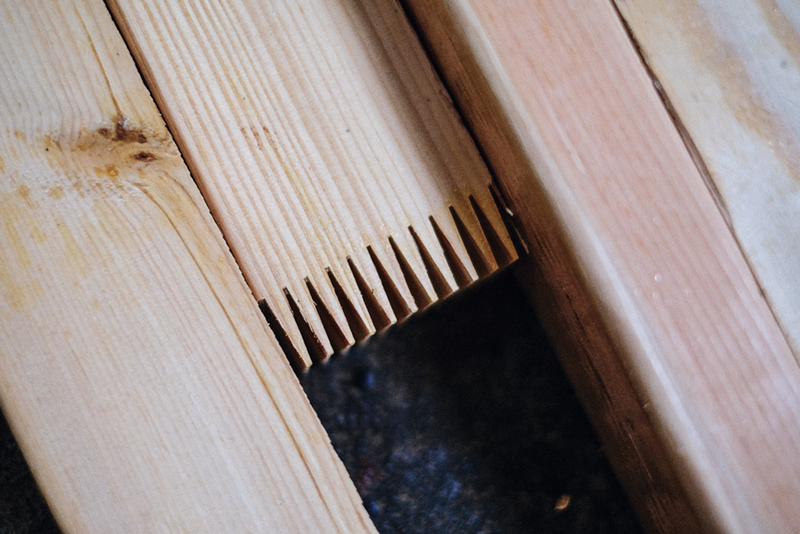 NPUST professor Wu Xue­dan’s research into high-temperature drying and preservation enabled Te Feng to cut the time required to dry its lumber from 30 days to just three, while also producing high-quality lumber. It was a turning point for the company. Different woods have different characteristics, with each having applications for which it is best suited. In 2009, Te Feng earned ISO 9001 quality management certification for its structural glued-laminated timber (glulam), which uses a variety of woods and manufacturing technologies. 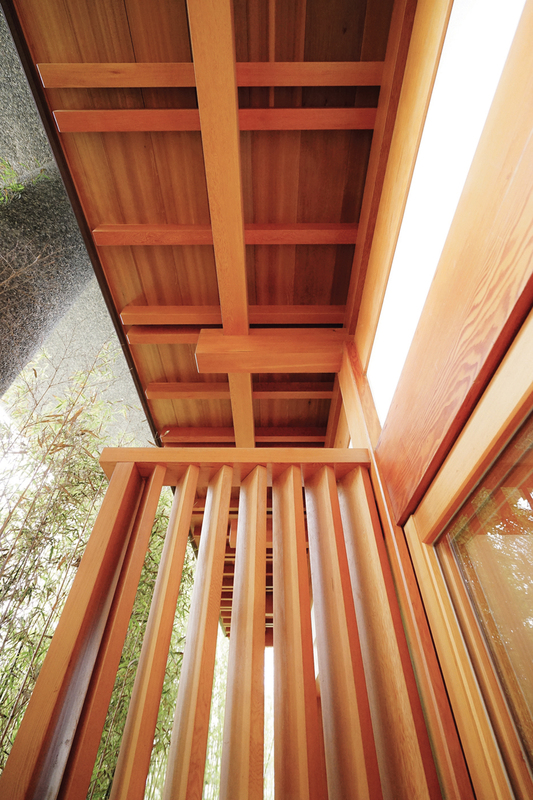 Te Feng’s glulam has since received Taiwan’s CNS Mark, making it the only domestic product to have gained certification under the CNS 11031 national standard. The company has also earned certification from the Chinese Wood Construction Buildings Association for its rot-proofing processes. 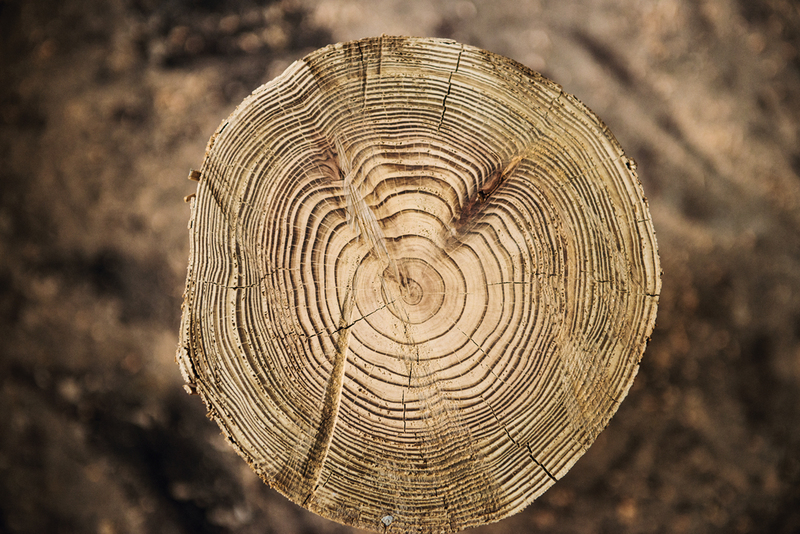 “We call our glulam product ‘the nameless tree’ to distance it from the myths people associate with woods from well known tree species.” In fact, all trees are precious, and even wood from “nameless” trees is useful in the right applications. “Every part of a tree should be treasured. Even wood shavings have value.” When Li Cheng­zong looked at the trimmings scattered around the factory, he recalled the everyday products his father made, and began thinking about giving back to the community. 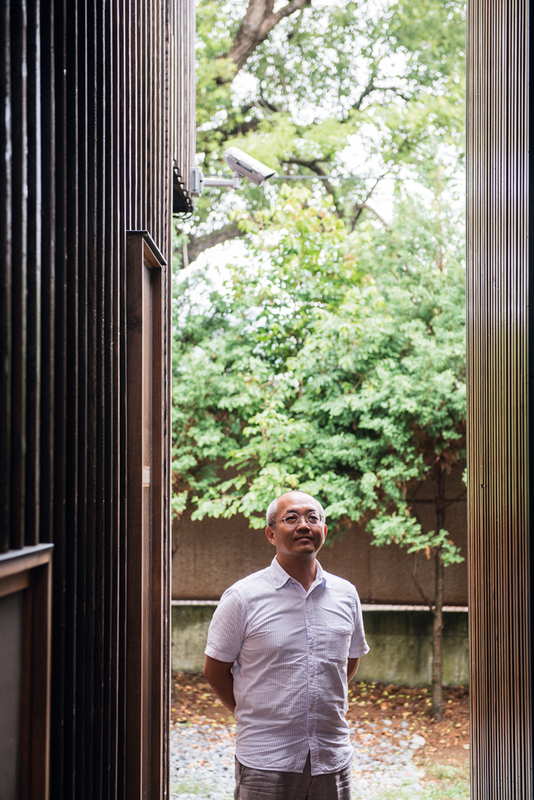 Nearly 20 years ago, those thoughts led him to climb aboard the community development bandwagon and get involved in the effort to promote community crafts, under the guidance of what is now called the National Taiwan Craft Research and Development Institute. This institute’s community development program draws on extant resources and the character of individual communities to establish cultural industries, promote community development, and revitalize local economies. 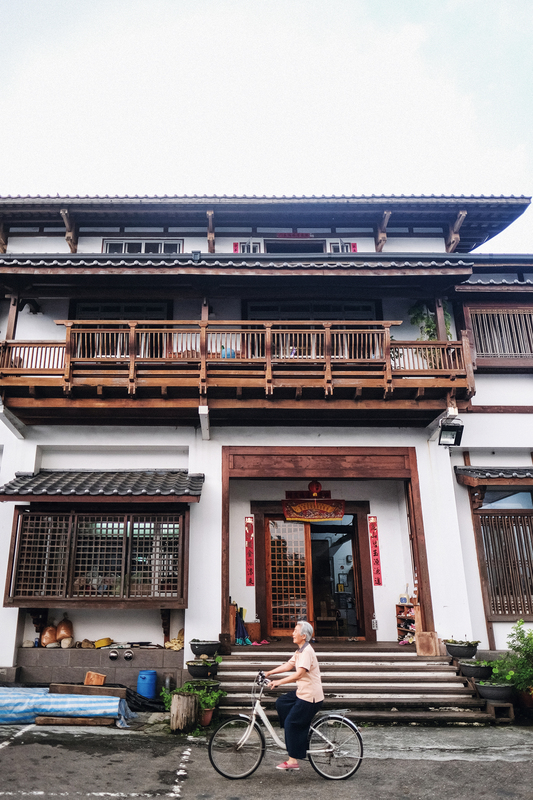 When the Li family home was among those knocked down by the Jiji Earthquake in 1999, Cheng­zong’s sons Richard and Jason Lee took on the task of rebuilding it. “It took us three years to complete. We had to learn everything from scratch.” Along the way, Richard fell in love with the art of building wooden structures. “Technological workarounds now exist for all of the problems we traditionally associate with building in wood.” For example, Te Feng uses non-toxic or low-toxicity processes to make its woods durable and pest-resistant. The company has earned the market’s trust through its use of experimental data to back up its claims, and has developed an environmentally friendly borate preservation treatment that also meets the Ministry of the Interior’s Tier-3 standard for flame resistance. Te Feng expanded into construction in 2005. It has worked on more than 50 projects in the years since, racking up admirable firsts all over Taiwan, and as far afield as Canada and Shen­zhen. 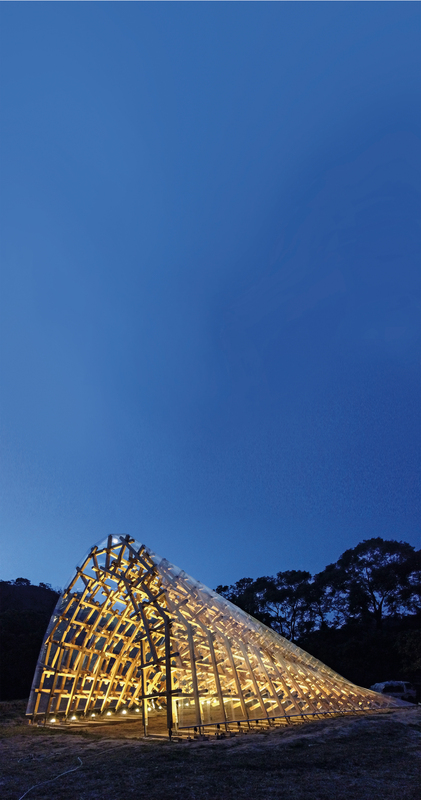 “Wood has a high degree of plasticity.” In 2009, Te Feng and architect ­Chiang Le-­ching created a roof for the gym at Tai­chung’s Da Dun Elementary School that required curved glulam to span 40 meters. It was the first use of domestically produced glulam. In 2016, the company used 8.5-meter-long arched glulam beams to construct the concourse of Chi­shang Train Station in Tai­tung, the longest structural glulam produced in Taiwan to date. The structural members, comprising more than 100 cubic meters of material, were assembled using steel connector plates and friction bolts to ensure the structure’s stability. With this project and others, Te Feng has continued to push the boundaries of what can be built with wood. 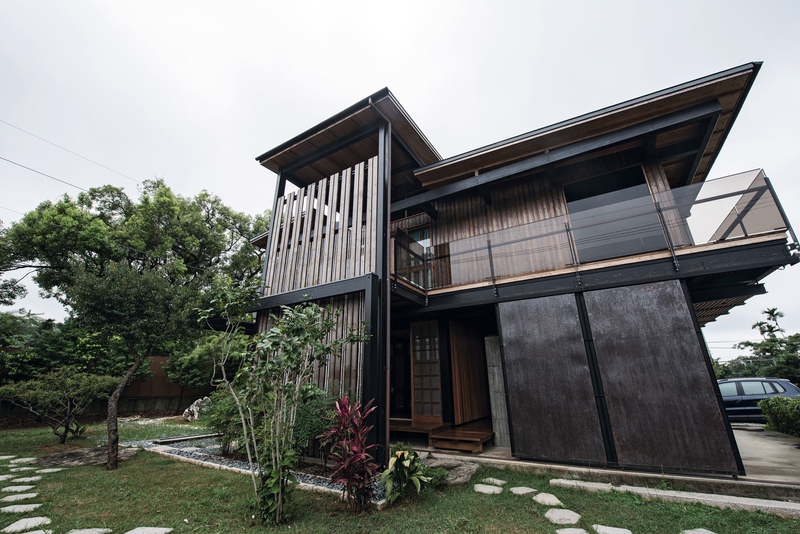 The “Half-Half House” project extended Te Feng’s business model, successfully modernized and further stabilized wooden construction through its use of high-grade custom fasteners instead of traditional joinery, and earned the company a 2018 Taiwan Residential Archi­tecture Award. The “Half-Half House” fits well into its surroundings. Built from six or seven varieties of timber, it smells pleasantly of wood, and is elegant looking as well as functional. Building on the accomplishments of their elders, Richard and Jason Lee are using innovation to open up new vistas for an old industry. “Taiwan has outstanding capabilities, but they aren’t very well integrated.” Taiwan’s customized parts and high-quality precision welding are a match for anything produced abroad, and Te Feng’s efforts to combine thousand-year-old methods with modern precision parts have yielded very competitive results. The Lees believe that getting all Te Feng’s products and processes on track will enable the company to overcome wood construction’s high costs and relatively slow build times. Doing so will not only mean achieving a corporate ambition, but will also provide the public with the opportunity to appreciate the pleasures of wooden homes.